Tonight – The Saskatoon Blades will try for their 4th straight win playing host to the Kelowna Rockets. It’s the only meeting of the season between these 2 clubs… the Blades also won last year in Kelowna 4-2. The Blades are 6-4-0-0 in their last 10, and have climbed their way into 7th place in the Eastern Conference. 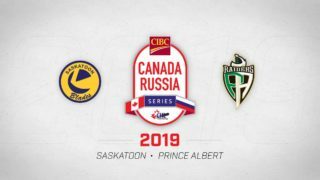 However, due to the Wild-Card playoff format, Saskatoon still needs to catch Prince Albert to get into a wild-card spot, as they currently sit 2 points behind the Raiders. The opponent – The Rockets will wrap a gruelling 6 game road trip through the East Division tonight against the Blades. 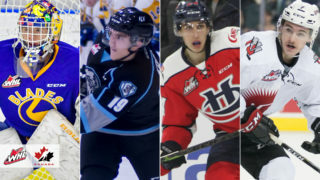 So far on the trip Kelowna has gone 2-3 and they’re 7-3 in their last 10… coming off a 7-3 win last night in PA. Kole Lind, who was released by Team Canada earlier in the week, returned to their lineup last night and scored a hat-trick against the Raiders. 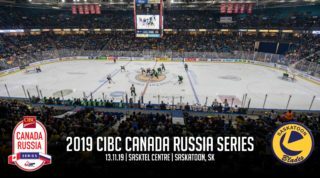 For Saskatoon – The late comebacks are almost becoming a trend for the Saskatoon Blades. Last night the Blades did it the hard way coming back from 2-0, and then giving up a late goal when leading 3-2 to allow the Pats to force overtime. 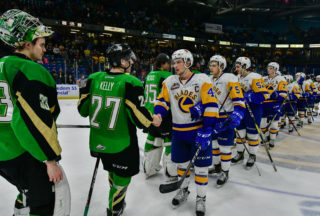 If only the Blades were a little more disciplined and played with urgency earlier, it’s unlikely Regina would have earned the loser point. Going up against one of the top teams in the West this evening, Saskatoon will need to bring that urgency for the full 60 minutes. They also gave the Pats 5 power play chances last night, simply too many as Kelowna brings in the 4th best PP unit in the league. 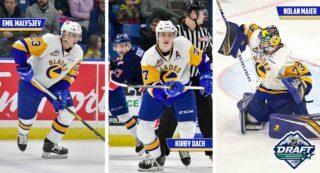 The lineup – Will look a little different tonight… 2 Blades prospects are set to make their debuts in the WHL tonight. ’02 F Kyle Crnkovic and ’01 F Ethan Mack have been called up to aid the Saskatoon forward group that’s suffered several injuries as of late. Nolan Maier started his 12th straight game last night… but he also earned 1st star making 30 saves for the win, so another tough decision for the Blades’ coaching staff between the pipes. The defence is the one thing that should stay the same. With no injuries and Libor Hájek away at world juniors, the 6 defenders that played last night will stand pat again this evening.